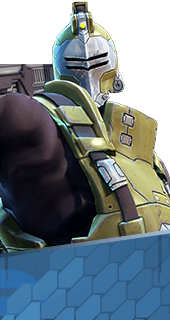 Back in a Jiff is an Augment for the Hero Oscar Mike in Battleborn. Activating Stealth Generator prompts Oscar Mike's shields to immediately begin charging. You cannot have both this augment and Tactical Espionage Action. It's either one or the other.